In this life one must be prepared to live to the fullest with dedication and move boldly to be a clear example to others. As a Veteran, Beauty Pageant Contestant, Actress and fabulous wife she does a great job. Jennifer Lynn Brande....Copa Style Magazine salutes you! Copa: Where are you from Jennifer? Jennifer: I was born and raised in a very small town in Northern New Jersey and spent my formative years there. After moving around the military for several years I settled in the Washington, DC Area seven years ago with my husband Howie. Jennifer: I attended Wanaque Elementary School and Lakeland Regional High School in Wanaque, NJ. I currently attend Northern Virginia Community College where I will earn my A.A.S. in Photography and Film Studies shortly. Copa: What were your major interests while growing up? Jennifer: I loved reading books, playing softball and performing in both Color Guard as well as the Band in both Elementary and High School. I also performed in Theatre as well as Choir Groups but I am most proud of being one of the founding members of a club in my High School called ERASE which stands for End Racism and Sexism Everywhere. Our mission of the club is to help eliminate and eradicate all forms of racist and sexist behavior in our community and in our first year of existence we were the national winner of the Noxzema Extraordinary Teen Competition and received $10,000 for our club to use. I was also an Executive Officer during my senior year in the club. Copa: I understand that you were in the military, which branch? Jennifer: I served in the United States Army from 29 February 2000 until my medical retirement on 12 May 2012, due to injuries that I sustained while deployed to Iraq. I was a Food Service Specialist and then changed jobs later on to Public Affairs/Print Journalist and was selected to attend Combat Historian Field Training and received that Designator in my military records. Copa: What other locations have you served and what memorable experiences do you recall? Jennifer: I have served in many exotic locales that I would not have ever dreamed of as well as some not so exotic places. In order of my career, I was at Fort Jackson, SC, Fort Lee, VA, Camp Casey on the DMZ, South Korea, Fort Drum, NY, Fort Wadsworth, NY, Fort George G. Meade, MD, Richmond, VA, Fort Totten, NY, Basrah, Iraq and finally Fort Belvoir, VA. I have had so many memorable experiences at all of my locations that I could never narrow it down to just a few. 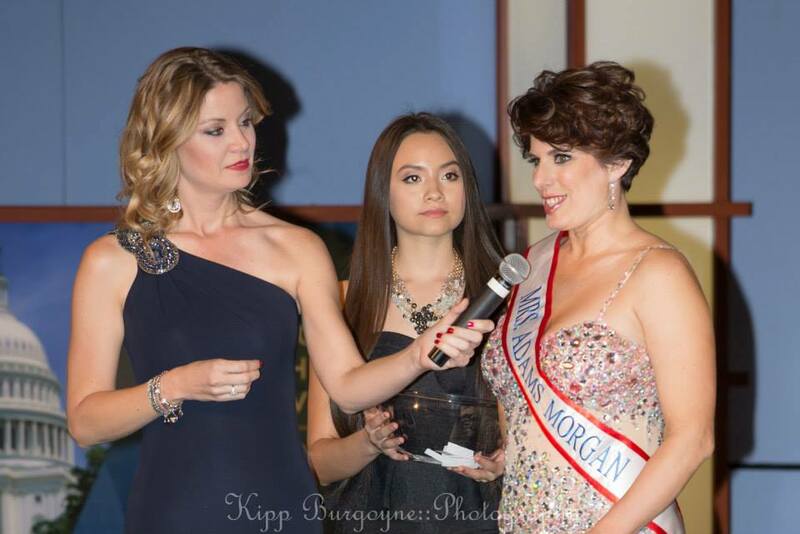 Copa: Tell us about your experience in your competion for Mrs. DC America. 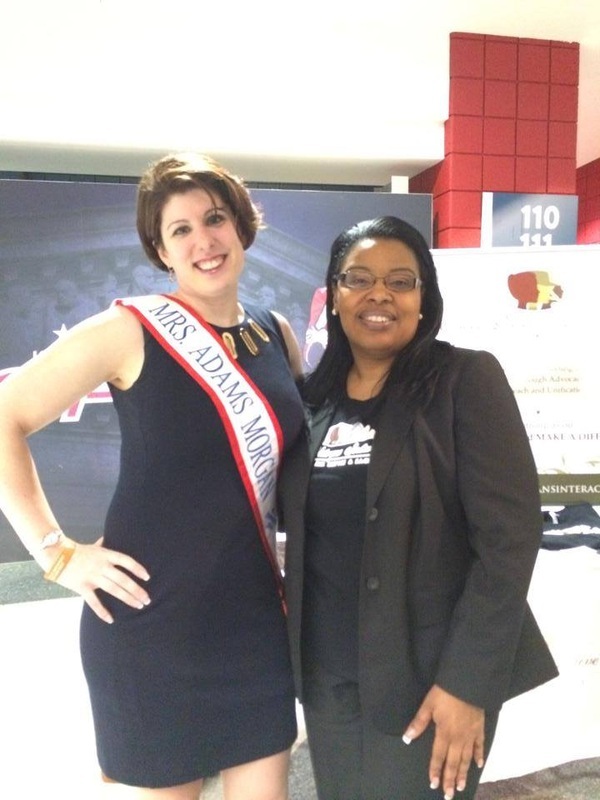 Jennifer: My experiences with the Mrs. DC America Pageant has been nothing but positive from the very beginning. I believe that the leadership and experience that our Director, Raquel Riley Thomas had shared with each of us with our appearances and training sessions. This has been amazing for someone like myself who has never competed in a national level pageant of this caliber. Raquel's lessons and tips were truly unique and set the quality of this competition to a very high level. Copa: How long does it take to prepare for the big day of the competition? Jennifer: Oh, it takes months in reality because I had worked out with my personal trainer to get into the best possible form. Also finding the right pageant gown and outfits. Not to mention the headshots, preparation for appearances and learning to walk properly and other details for the big night. Copa: What are some projects you are working on presently? 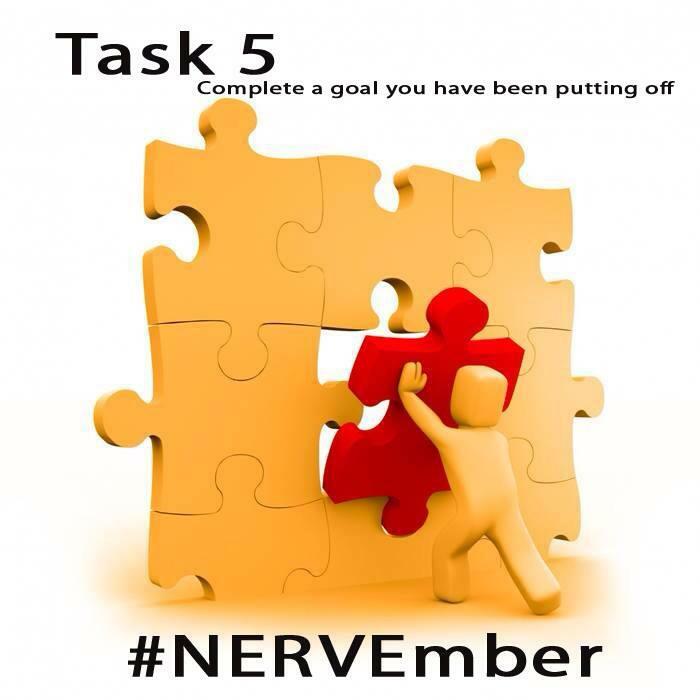 Jennifer: Some of the current projects I'm working on focus on promoting beautiful self image as well as getting ready for my non-profit organization's big awareness month which we call "NERVEMBER." This is the biggest fundraiser of the year with "Comic Pain Relief", an entire day's Summit of educating the public about the 150+ Neuropathic Pain Disorders of which I presently suffer from, one of them is call RSD. The "Comic Pain Relief event is our cornerstone of a long year of fundraising. Last year we had the late Joan Rivers as our headline act as well as our other Celebrity Ambassadors, Ace Young and Diana DeGarmo from American Idol. It was an amazing event, this year promises to be even better. Also there will be a huge silent auction which I will be donating an item as well. Copa: What is your opinion on veteran support? Jennifer: My opinion on veteran support is that there are so many organizations out there that have incredible missions to accomplish but there will always be more efforts needed. Sadly I have seen other companies and/or groups that claim to help veterans but in the end they tug at the heartstrings of the public saying "look at what we are doing to help veterans", but in reality they are not doing anything at all. Jennifer: For me the future holds my continuing advocacy of Neuropathic pain disorders, supporting every local pageant contestant, a year as Mrs. DC America and potentially as Mrs. World , having a full and complete life with my amazing job. advancing my acting and modeling career as well as showing off the beauty and wonder that is Washington, DC. I also hope to be the face of what a successful and wonderful life of married women in the area of the Nation's Capital, and show that life does not end when you get married but it's just the beginning of life!